Dr. Donna is the first African-American to be appointed Chief of Pediatrics at Highland Hospital in 2015. In November 2017, the Medical Staff of Highland Hospital voted to create a Department of Pediatrics. In January 2018, Dr. White Carey was appointed Interim Chair of this new Department of Pediatrics for Alameda Health System, making her the FIRST Chair of this Department. In her current role as Chair of Pediatrics, she oversees 4 outpatient Pediatric clinics throughout the Bay Area and the inpatient Neonatal Intensive Care and Well Baby units at Highland Hospital. Throughout her career as a Pediatrician, she has been an advocate for adolescent’s and women’s health in the Bay Area and beyond. She received the “STEM Woman of the Year” Award from then-Assembly member Nancy Skinner in 2014. 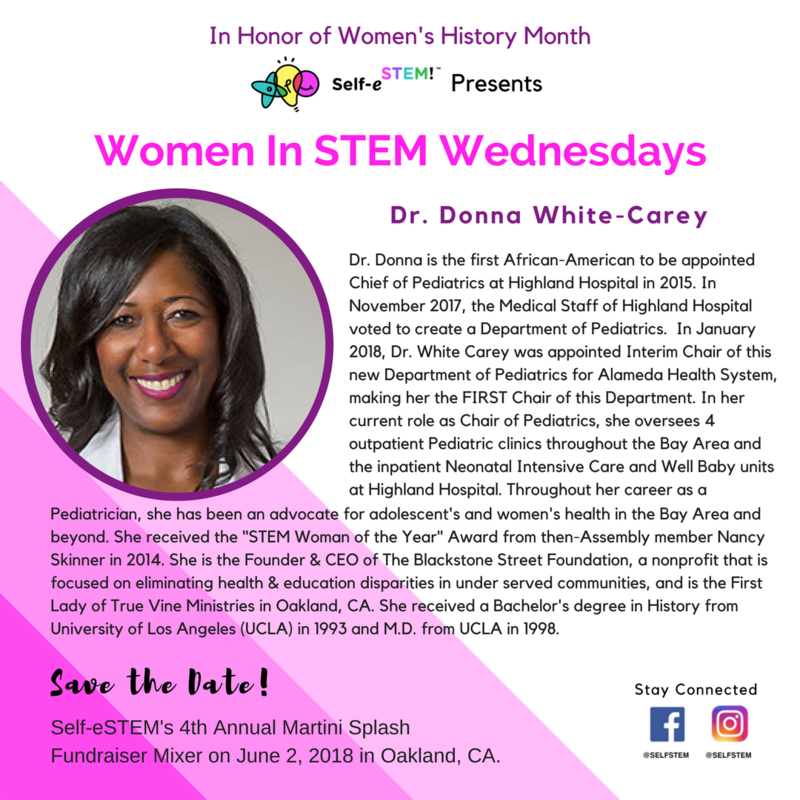 She is the Founder & CEO of The Blackstone Street Foundation, a nonprofit that is focused on eliminating health & education disparities in under served communities, and is the First Lady of True Vine Ministries in Oakland, CA. She received a Bachelor’s degree in History from University of Los Angeles (UCLA) in 1993 and M.D. from UCLA in 1998.